Jinxed was written by Day Leclaire. Jinxed was published by Harlequin Enterprises Limited. About Day Leclaire (Author) : Day Leclaire is a published author. 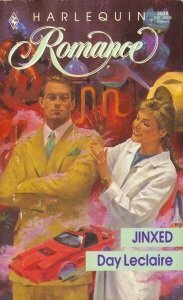 Published credits of Day Leclaire include Jinxed (Romance).